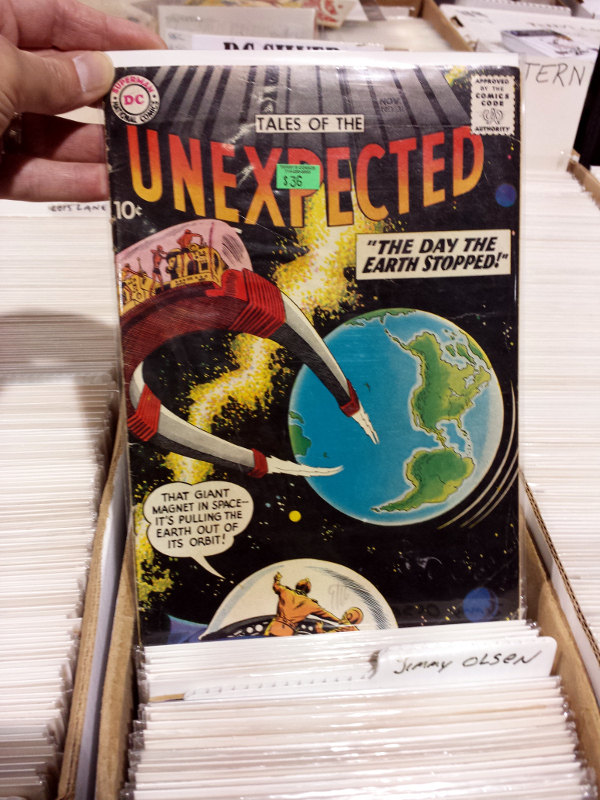 I spent Saturday at a comic book convention, so naturally the first thing that came to mind when I read that this week’s theme was unexpected was this: the old comic book series, Tales of the Unexpected. I had to look through a few back issue bins, but found a few issues. 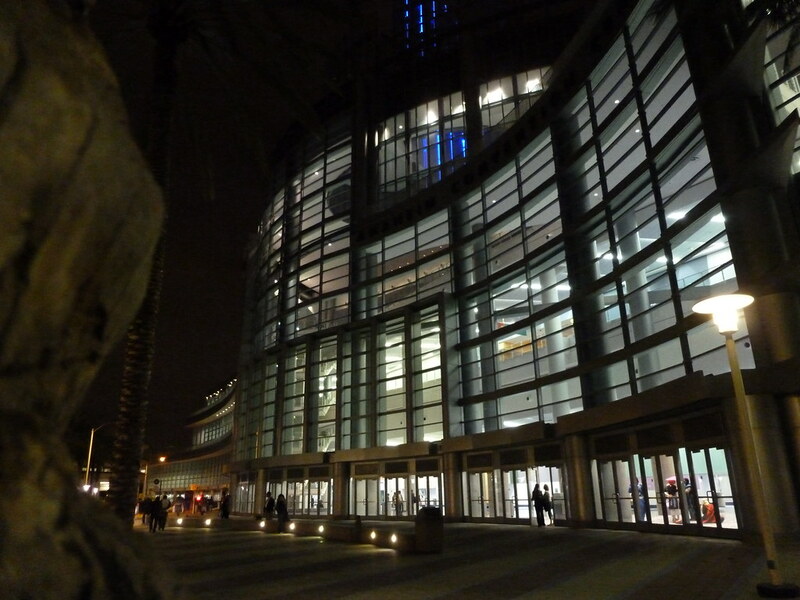 Long Beach Comic and Horror Con is, despite the name, one of the most comic-focused conventions I’ve been to. Mostly I looked for books, watched displays and people in costumes, listened to discussions by writers and voice actors, and talked with a few artists. 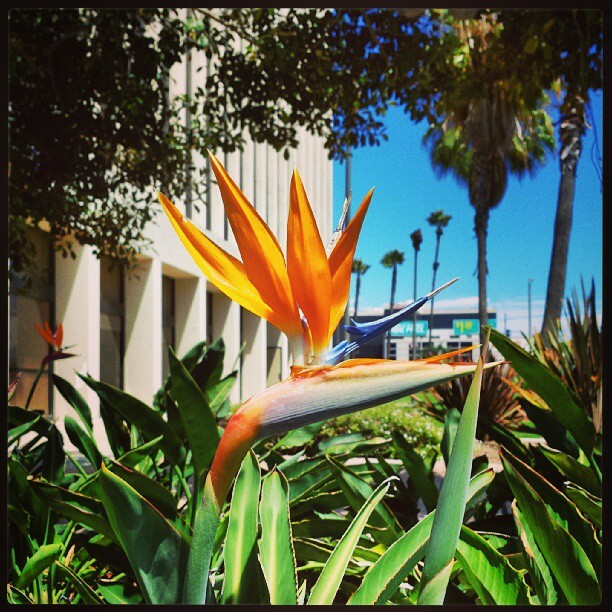 Plus in the middle of the day, after lunch, I wandered around the Rainbow Lagoon park adjacent to the convention center. You can read up on the event, or look at more of my photos from the con, featuring costumes, pop culture cars and sightseeing. 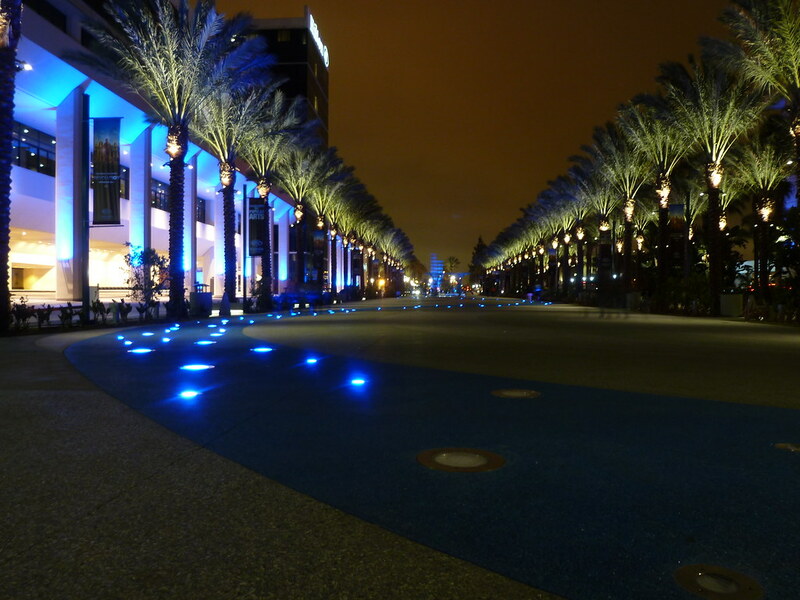 Night at the new pedestrian area at the Anaheim Convention Center, taken during WonderCon this past weekend. This walkway replaces a street that used to run between two hotels, and is anchored by fountains at either end. 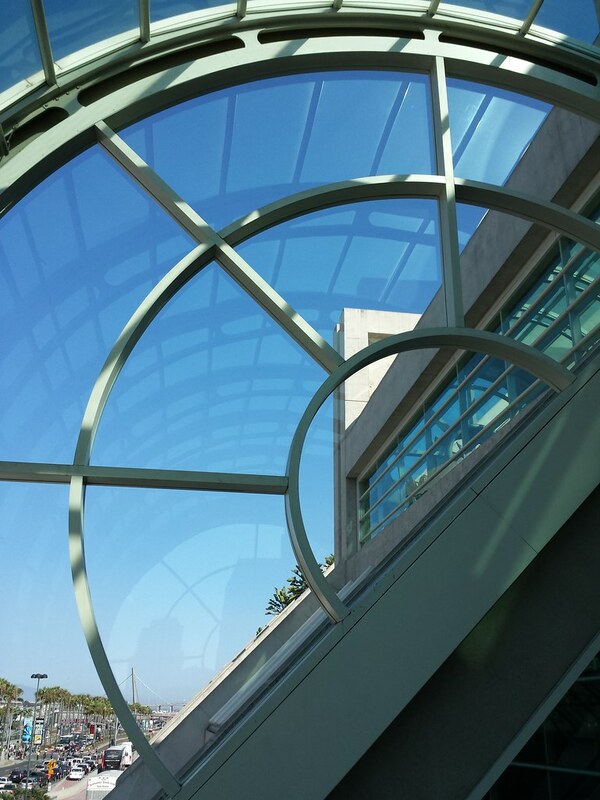 It turned out to be a perfect place for con-goers to gather socially during the day, and for cosplayers to hold photoshoots. 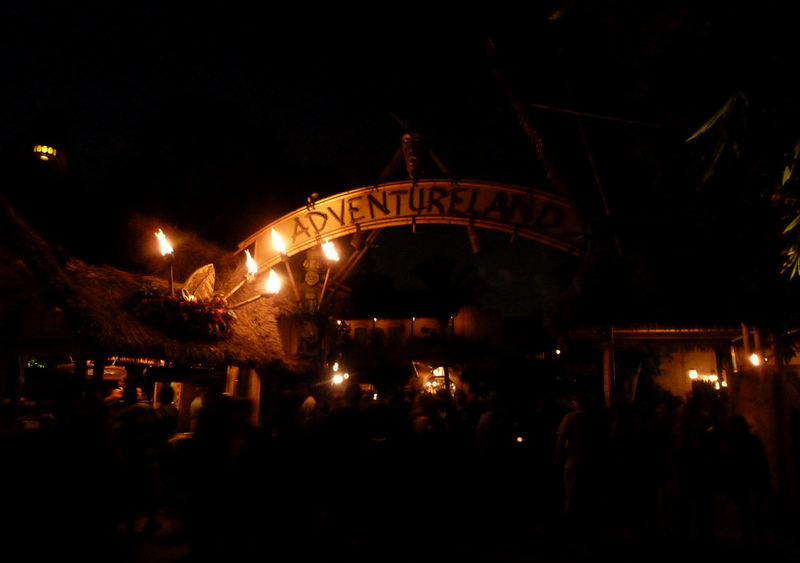 More photos on Flickr including exhibits, people in costumes, and sightseeing. 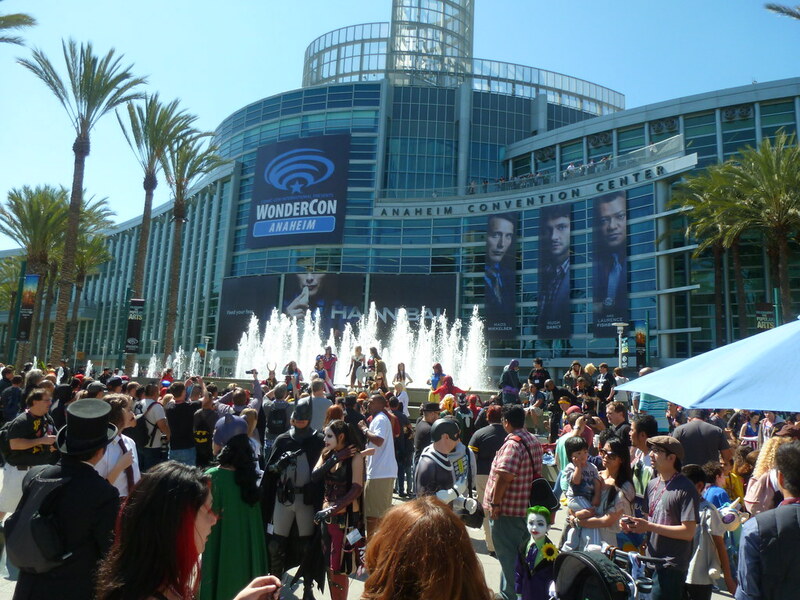 A view of the Anaheim Convention Center during last year’s WonderCon, a flip side to this daytime view. 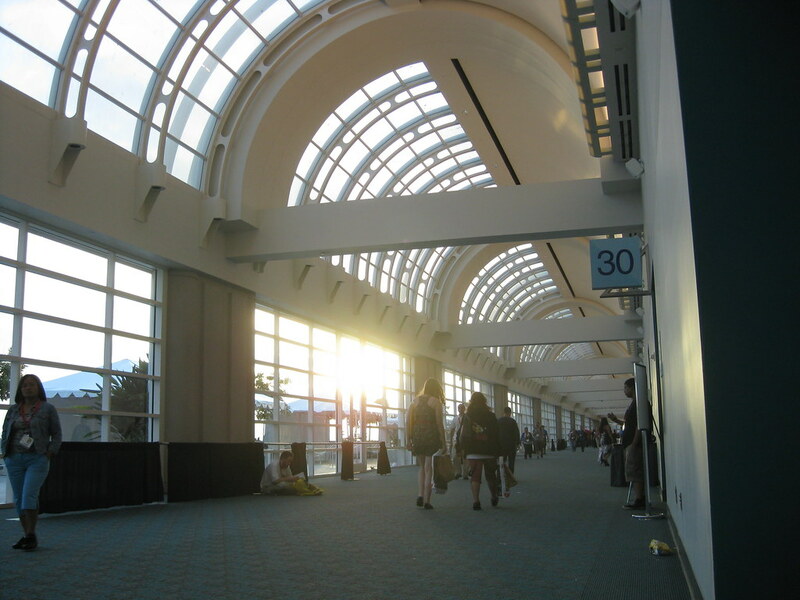 Normally the convention is held in San Francisco, but remodeling at the Moscone Center last year and scheduling problems this year led them to move to Anaheim. 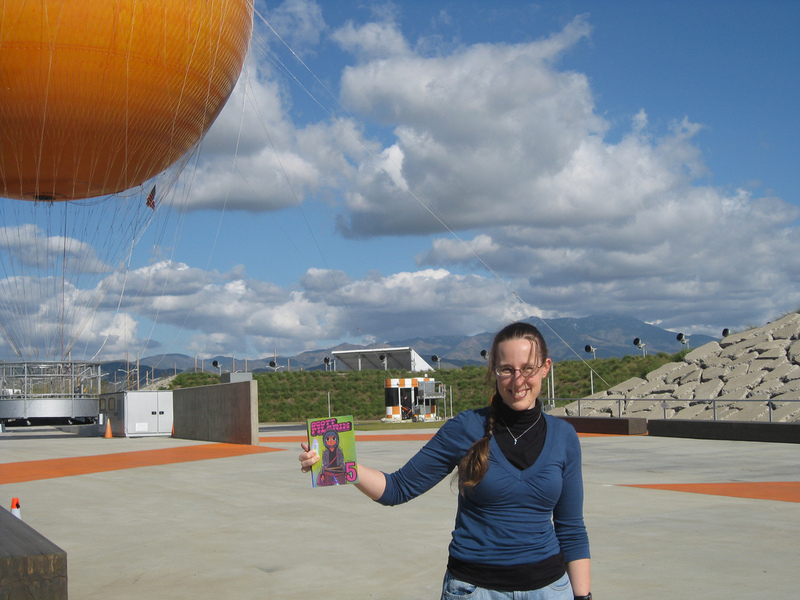 You can read about my experience at the con last year. This year’s convention is coming up this weekend, and tickets are still available as I write this. I’ll be posting photos and commentary at K-Squared Ramblings as usual. 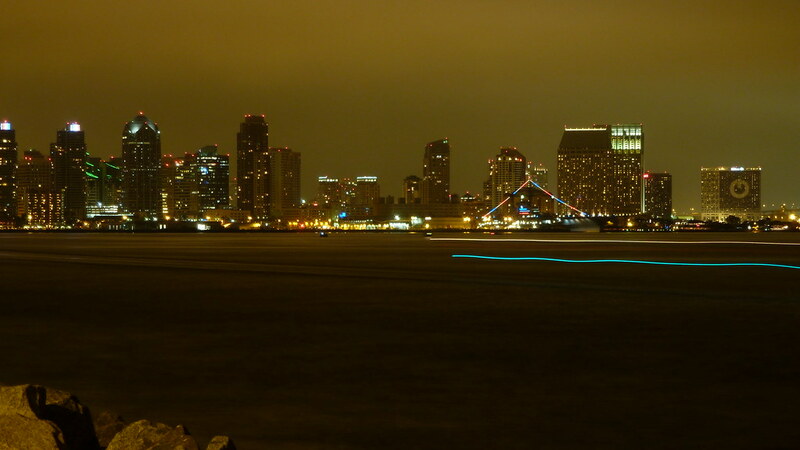 Downtown San Diego’s nighttime skyline, seen from Harbor Island across the bay to the west. You can see the light trails from a couple of boats. 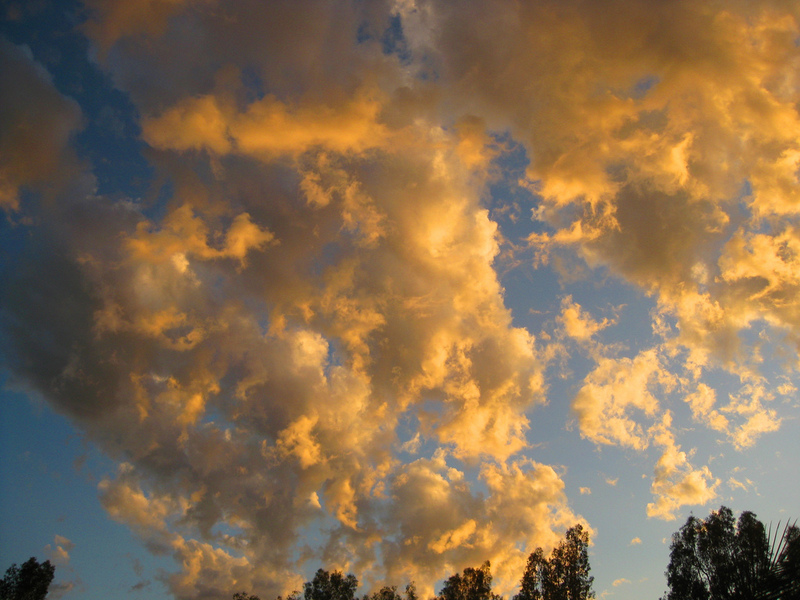 The yellowish sky is the reflection of street lights on low-lying clouds. 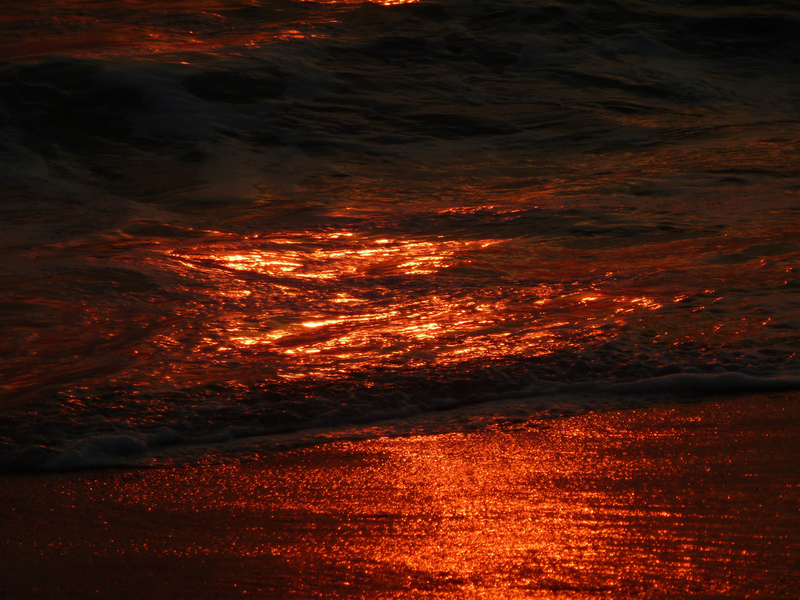 I have a wider shot that shows how much darker the sky is away from the city. 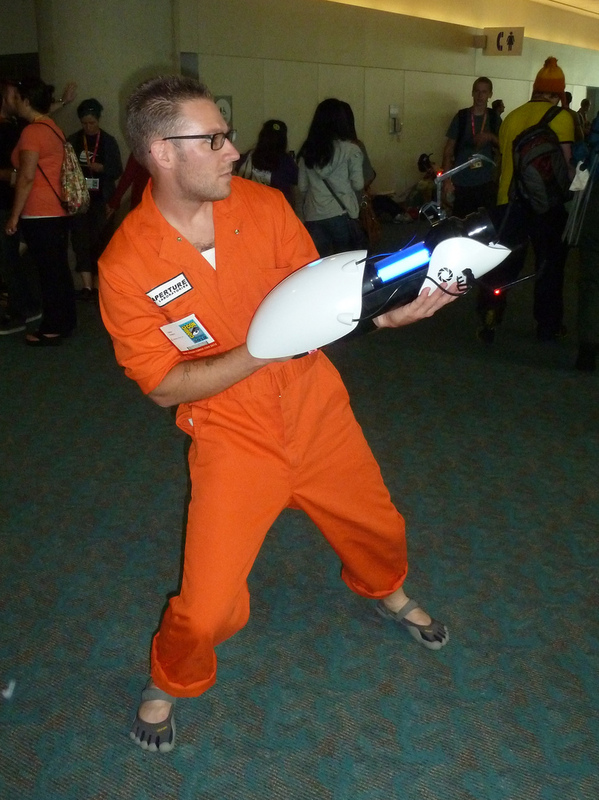 This was taken during last year’s Comic-Con. I figured I’d post it this week because the first round of hotel rooms go on sale this Wednesday. 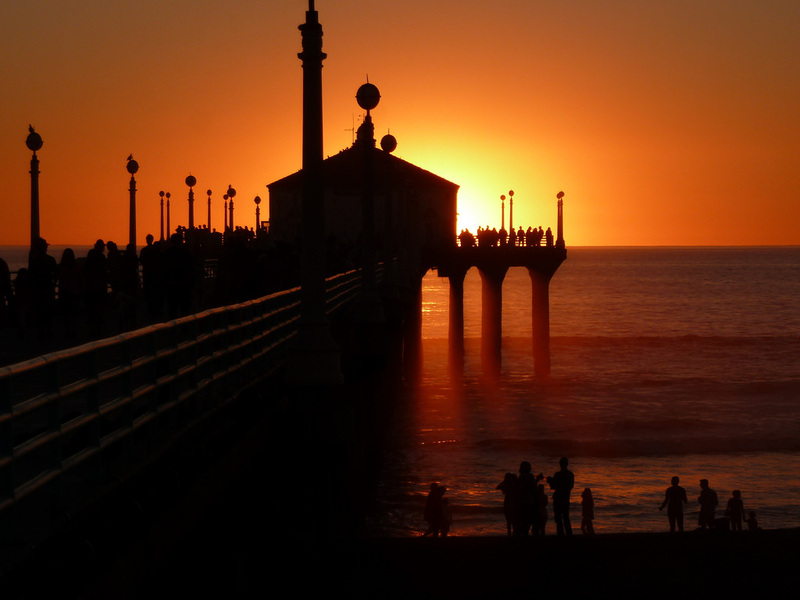 These are non-refundable, outside of downtown, and in some cases specific packages with minimum stays, but if you already have tickets and want to avoid the “Hoteloween” rush when the rest of the rooms go on sale, it might be worth taking a look. 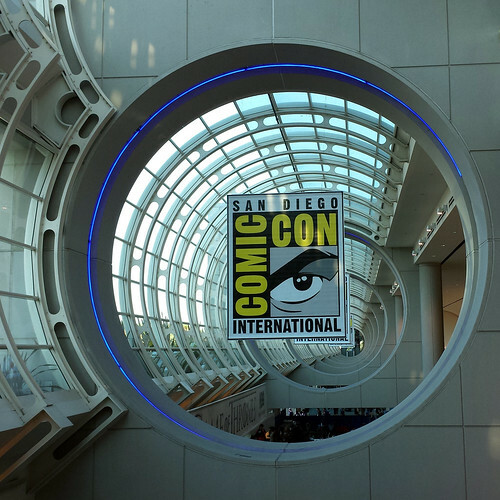 Either way, you might be interested in my collection of Tips for Comic-Con. 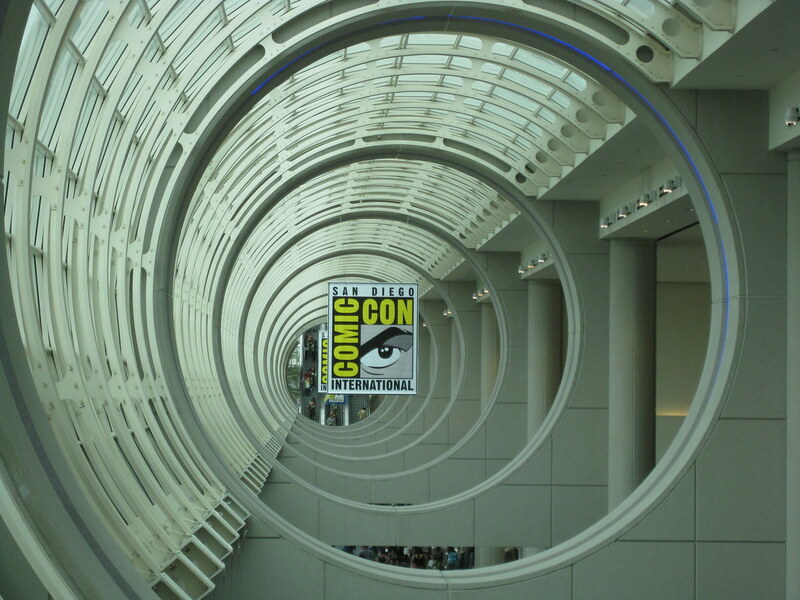 Hotels went on sale for Comic-Con International this week. I sat things out this year, since we’re only making a day trip. Naturally, everyone I know who was trying to get a room ended up with the smoothest experience in more than five years, rather than the crashes, timeouts, frustration that we’ve come to expect. 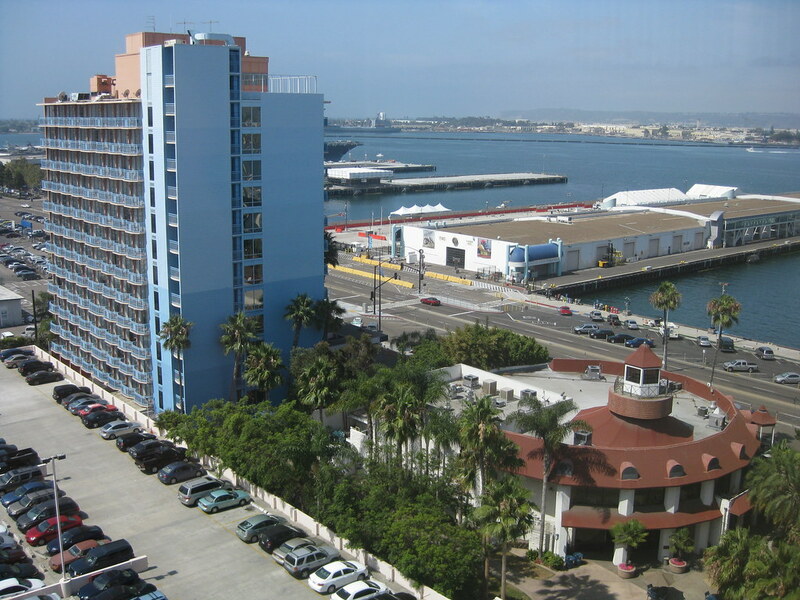 In case you didn’t make it through, or if you decide to just chuck it all and do something else, here’s a link to some ideas on how you can still get a hotel in San Diego.